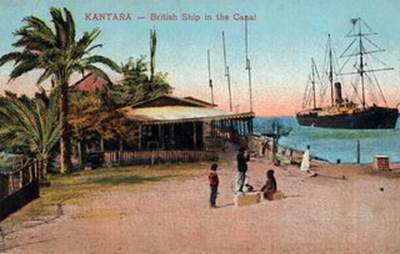 'Kantara' was the Allie’s name for the northeastern Egyptian town of Al Qantarah El Sharqiyya - a northeastern Egyptian city on the eastern side of the Suez Canal located in the Egyptian governorate of Ismailia. During World War I, Kantara was the site of Headquarters No. 3 Section, Canal Defenses and Headquarters Eastern Force during the latter stages of the Defense of the Suez Canal Campaign and the Sinai Campaign of 1916. It became the main supply depot for all British, Australian and New Zealand operations in the Sinai from 1916 until final demobilization in 1919. Beginning in January 1916 a new railway was constructed from the town to Romani and eastwards through the Sinai to El Arish and Rafa on the border with the Ottoman Empire. El Arish was the scene of an action in the war, and the tune itself is named for a march between the two. 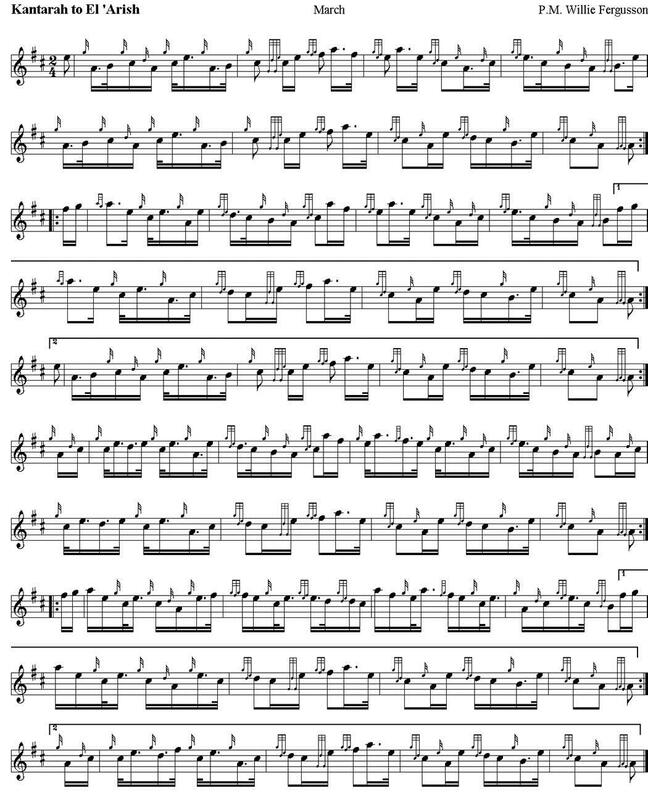 The piece was composed by Pipe Major Willie Ferguson. Ferguson saw action at Gallipoli with the 7th Highland Light Infantry, where he was Pipe Major.